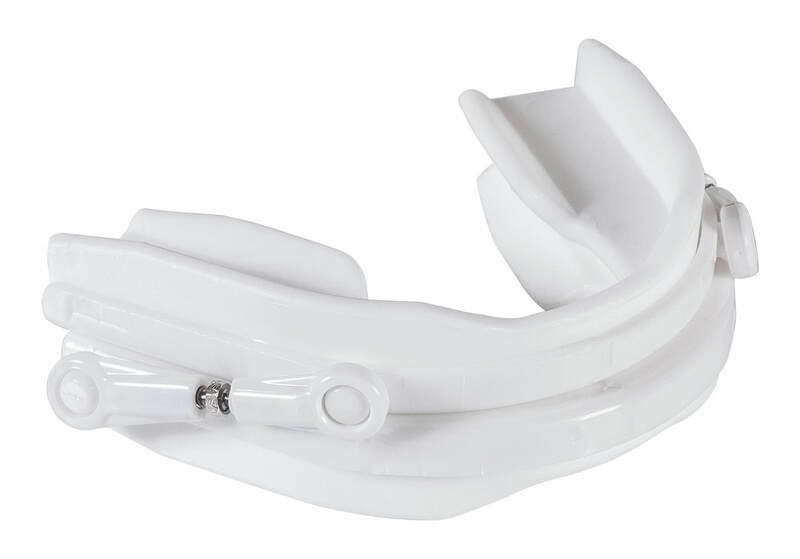 The all new SomnoGuard SPX presents the best of both worlds: the efficiency, convenience and cost-effectiveness of a prefabricated Oral Appliance with the flexibility to accommodate varying width arches and enhanced retention of lab-made appliances due to its unique design and copolymer. Anterior titration of the mandibular tray is available with 1mm interchangeable straps or a new, precisely adjustable turnbuckle mechanism. Titration, when and if necessary, can be accommodated from 0 to 10mm of advancement. 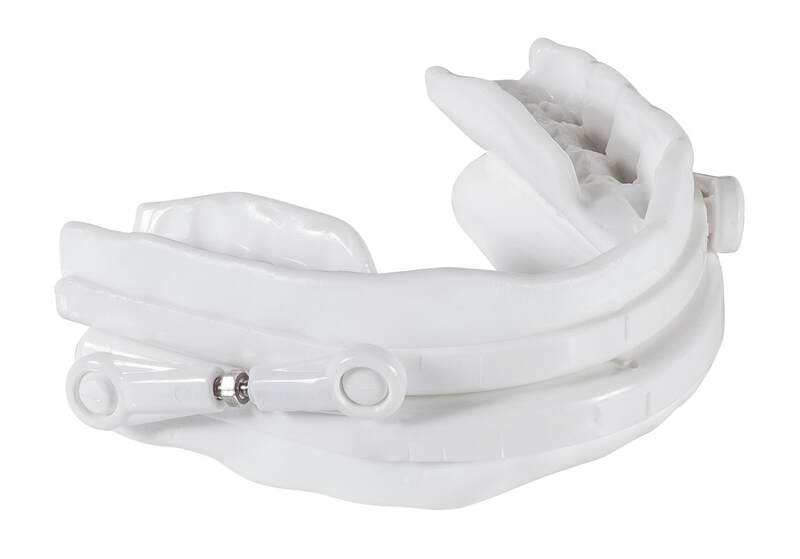 optimizing comfort and compliance, particularly for those patients with small oral anatomy. Slightly more complex to fit than the AP2, due to it's ability to accommodate varying arch widths and a significantly different copolymer with shorter heating times and longer setup times, translates to more time being allotted for custom fitting and precise initial positioning of the upper and lower trays and initial titration setting.